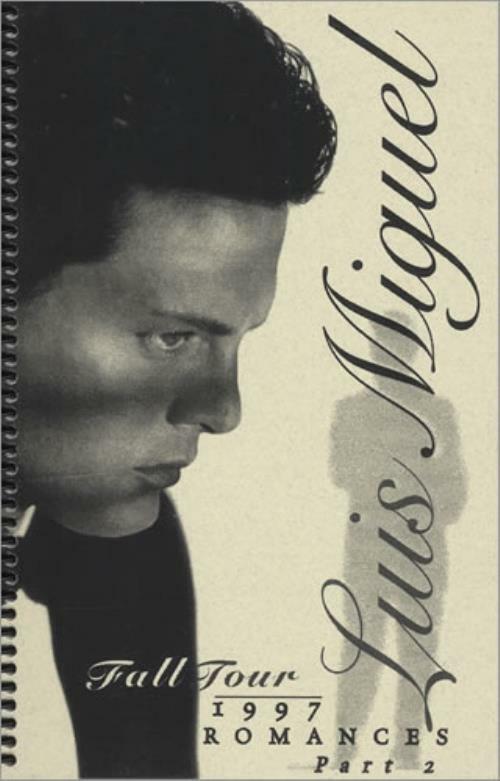 LUIS MIGUEL Romances Tour '97 - Part 2 (Rare original US crew-only A5 size spiral-bound tour itinerary book featuring 52 pages of information for the USA/Canada/South American 'Fall Tour' running from 3 November to 11 December 1997. Includes tour dates, venue information, map, calendar, hotel & travel arrangements for both band & crew. Printed on white and purple paper, complete with a custom black & white Luis Miguel picture/title cover - a superb item).